The attacker sought by Madrid has grown 400% since July, only behind Frenkie de Jong (757%). It has gone from eight to 40 million euros. Real Madrid has set its sights on Luka Jovic, one of the most thrilling goal-scorers of the Old Continent this season. He has 18 goals in 25 games with Eintracht Frankfurt, with an average of one goal every 85 minutes, slightly below those of Messi and far above Bale and Benzema, the two top scorers in Madrid. And that great performance in the German League, of which he is top scorer with 13 goals, has had a reflection on its market value. It is the second player who has grown the most this course. Así is accredited by the Transfermarkt valuation system: on July 1, 2018 its value was eight million euros, today is 40 million, an increase of 400%. A percentage of growth that only another footballer has managed to overcome, curiously already signed by another Spanish team: Frenkie de Jong. The Dutch, signed by Barça in exchange for 75 million fixed and another 11 for objectives, started the course worth only seven million and already goes for 60, an increase of 757% . Al level Jovic, also with a growth of 400%, is another man related to Real Madrid: Achraf Hakimi. Borussia Dortmund's side, on loan for two seasons from the white club, left with a value of five million and already costs, according to Transfermarkt, 25 million. His great performance as a left-hander from Dortmund, with two goals and seven assists, has not gone unnoticed for the well-known statistics and evaluation website. Also with 400% appears Junior, side of Betis also intended by Madrid (from 5 to 25 million) . 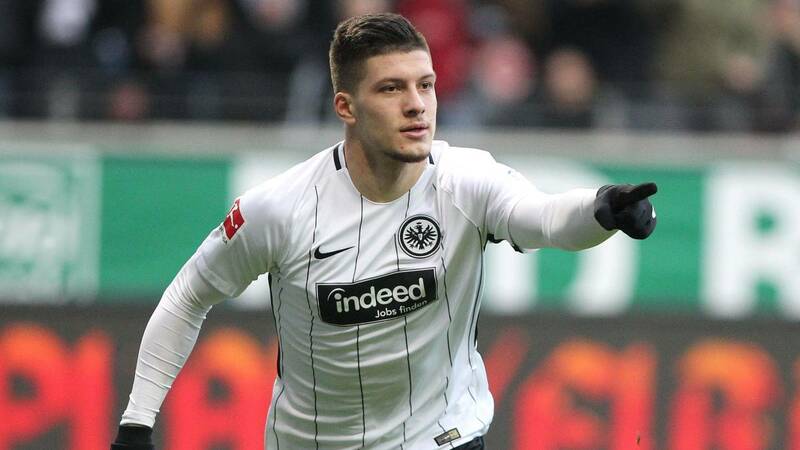 Jovic is the second in percentage growth; in the rise by millions of euros, in which the Serbian has experienced a rise of 32 million, down to 10th place, surpassed by names like Mbappé, Sancho, Griezmann, De Jong, Havertz or Kepa.